The best advice that I have ever been given to help me create good quality summative comments when assessing pupils’ work came from Darren Mead. He explained that if the comments made are kind, specific and helpful, the pupil will be able to progress to the next level. 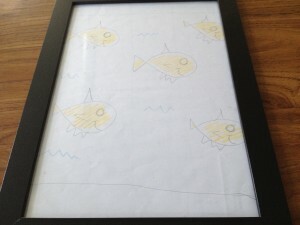 If the comment is just kind: “I love your work!” the pupil will not know what to do next. Similarly, if the comment is just specific: “you have created a simple, compound and complex sentence in one paragraph,” you are stating the obvious and you are not providing feed forward that will allow the pupil to progress. These three key words were accompanied by Darren’s excellent explanation of it in practice during a bird watching project at Cramlington Learning Village, during which, pupils were asked to critique each others’ work. As the famous willow warbler image, used to explain this method to me, is no doubt being framed ready for its move to the Tate Modern, this reflection will show you how this idea was adapted for use in my classroom. 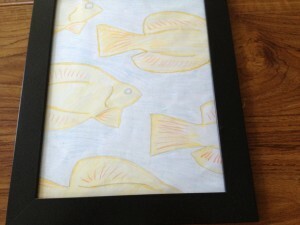 During my A Level Art course, I drew some fish. I loved these fish but I had previously never found a place or a use for them. They only existed in a forgotten part of a cupboard in a pile of other useless junk; that seemed to be their likely resting place forever until…Darren’s willow warbler image, created by a student for their bird watching web site, had reminded me of the process that I had gone through to create these fish. Removing the image from its forgotten place, I set to work drawing two other images, images that could have been a first and second attempt on the road to my aquatic masterpiece. Images complete, I was ready to make feed forward and peer assessment visual for my pupils. I asked pupils to think of kind, specific and helpful comments to allow me to create a more realistic set of fish. The pupils recorded as many ideas as possible at this stage so that we could use their answers to find excellent examples of kind, specific and helpful advice. If you want to avoid a pupil getting something wrong, it’s good to show them what wrong looks like. At this point, Pupils began to see the merits in feed forward as opposed to summative comments such as “good work” or “well done.” These comments are kind but not specific or helpful enough to make a difference to someone’s work. They can see clearly the difference between the images and how their comments could have caused that difference. 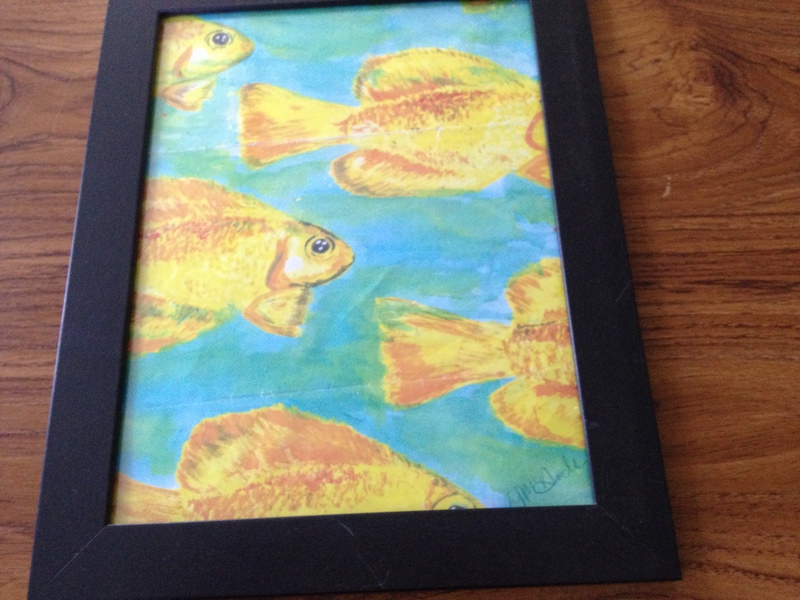 These fish are a metaphor for the work that pupils produce in class. They have proven to be an excellent tool to teach the merits of good quality summative comments when peer assessing each others’ work. 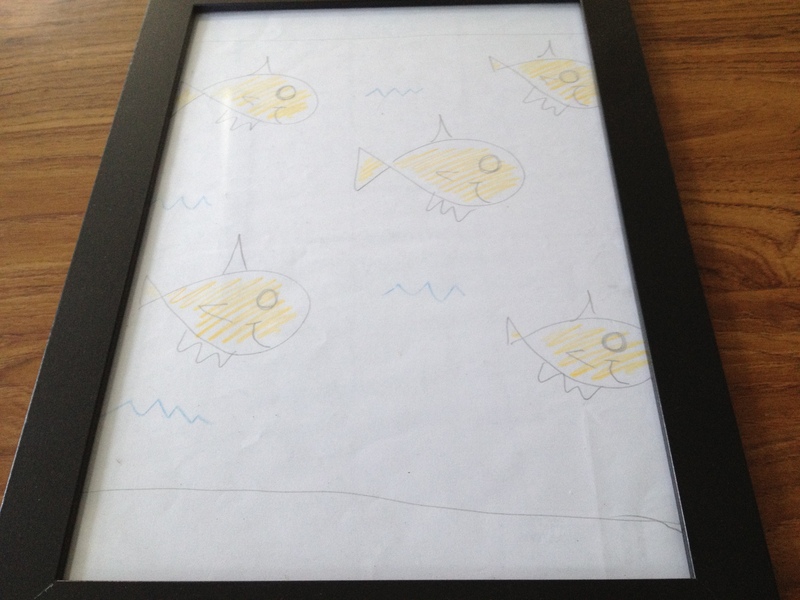 For me, the fish help the pupils to visually make sense of what they should be helping their peers to create in their books; however, it is important that they are allowed to put these ideas into practice on real assignments in order to make sense of the connection between assessment and fish.